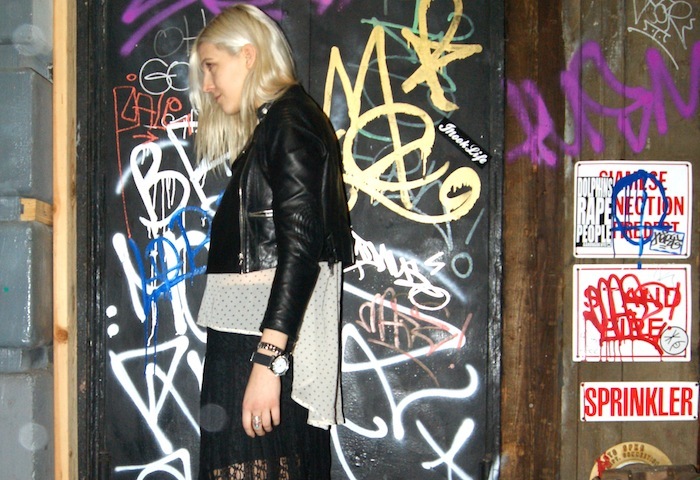 Isn’t street style all about the real, grungy, graffiti filled walls of NYC? Moments captured in the hidden corners of our city that make for some pretty awesome pictures if I say so myself. This one of Kelsey was found beneath a construction site in Soho. Lace, sheer, and leather make for this edgy look – and I love it.